Initial tasks take too long to run, after booting. description Re: Initial tasks take too long to run, after booting. I am sorry to say that the system still takes 30 minutes until it is responsive. However, MS Office (Word/Excel/PPT/etc) all worked during that period. Ok, let's dig a bit deeper into that computer. * The instructions here ask you to attach the Attach.txt. •Close the program window, and delete the program from your desktop. Before doing this, can I check: the first DDS link leads to a screen saver. The 2nd link leads to relevant screens, but they are in Spanish. Are the links correct? One point that might be relevant is that I have been getting a prompt that "Sys Config " has been modified. And asking if I want to get notified ongoing. I always just cancel out of it. Should I accept the changes (which I don't know what they are).? The first link should just give you a pop-up to download and yes, the second link is in spanish. You should be able to get the program by hitting the descargar button. This will also give you a pop-up button to run or save. This is not a normal waring. Just cancel it each time.Did you recently make and changes to your system such as installing new hardware? To answer the second question first, I haven't added any new h/w. The first prompt has a box to tick which would avoid having any such prompt each time". Should I select that? Re DDS, both prompts (ie using desrger" button, came u with a DDS.SCR download. I double clicked ofrom teh desktop, and a small banner was displayed on my screen "DDS is running in silent mode". After ~ 10mins the following txt file was displayed: (So if this is all correct, your instructions could be modified?). C: is FIXED (NTFS) - 109 GiB total, 32.816 GiB free. D: is FIXED (NTFS) - 37 GiB total, 37.173 GiB free. 29/07/2014 09:27:12, error: Service Control Manager  - Timeout (30000 milliseconds) waiting for the Google Software Updater service to connect. 29/07/2014 09:26:37, error: Service Control Manager  - Timeout (30000 milliseconds) waiting for the Google Update Service (gupdate) service to connect. 29/07/2014 09:26:37, error: Service Control Manager  - The Google Update Service (gupdate) service failed to start due to the following error: The service did not respond to the start or control request in a timely fashion. 28/07/2014 10:49:08, error: Service Control Manager  - Timeout (30000 milliseconds) waiting for the McAfee Anti-Spam Service service to connect. 28/07/2014 10:49:08, error: Service Control Manager  - The McAfee Anti-Spam Service service failed to start due to the following error: The service did not respond to the start or control request in a timely fashion. 28/07/2014 10:49:02, error: Service Control Manager  - Timeout (30000 milliseconds) waiting for the McAfee Home Network service to connect. 28/07/2014 10:49:02, error: Service Control Manager  - The McAfee Home Network service failed to start due to the following error: The service did not respond to the start or control request in a timely fashion. 28/07/2014 10:48:41, error: Service Control Manager  - Timeout (30000 milliseconds) waiting for the McAfee Proxy Service service to connect. 28/07/2014 10:48:41, error: Service Control Manager  - The McAfee Proxy Service service failed to start due to the following error: The service did not respond to the start or control request in a timely fashion. 28/07/2014 10:48:40, error: Service Control Manager  - Timeout (30000 milliseconds) waiting for the McAfee Personal Firewall Service service to connect. 28/07/2014 10:48:40, error: Service Control Manager  - The McAfee Personal Firewall Service service failed to start due to the following error: The service did not respond to the start or control request in a timely fashion. 28/07/2014 08:38:10, error: Service Control Manager  - Timeout (30000 milliseconds) waiting for the Windows Search service to connect. 28/07/2014 08:38:10, error: Service Control Manager  - The Windows Search service failed to start due to the following error: The service did not respond to the start or control request in a timely fashion. 26/07/2014 01:40:39, error: Service Control Manager  - The Automatic Updates service hung on starting. 26/07/2014 00:38:24, error: Service Control Manager  - The McAfee Boot Delay Start Service service hung on starting. 25/07/2014 19:57:02, error: Service Control Manager  - The McAfee Boot Delay Start Service service terminated unexpectedly. It has done this 1 time(s). The following corrective action will be taken in 60000 milliseconds: Restart the service. 25/07/2014 00:28:10, error: Service Control Manager  - The Windows Search service hung on starting. 25/07/2014 00:24:59, error: Service Control Manager  - The WebClient service hung on starting. 25/07/2014 00:24:59, error: Service Control Manager  - Timeout (30000 milliseconds) waiting for a transaction response from the NVSvc service. 25/07/2014 00:24:59, error: Service Control Manager  - Timeout (30000 milliseconds) waiting for a transaction response from the McAfee SiteAdvisor Service service. 25/07/2014 00:24:59, error: Service Control Manager  - Timeout (30000 milliseconds) waiting for the Microsoft .NET Framework NGEN v4.0.30319_X86 service to connect. 24/07/2014 20:18:18, error: Service Control Manager  - Timeout (30000 milliseconds) waiting for the McAfee Boot Delay Start Service service to connect. 24/07/2014 20:18:18, error: Service Control Manager  - The McAfee Boot Delay Start Service service failed to start due to the following error: The service did not respond to the start or control request in a timely fashion. dRunOnce: [Del2001265] cmd.exe /Q /D /c del "c:\windows\temp\0.del"
Yes, please tick that box. 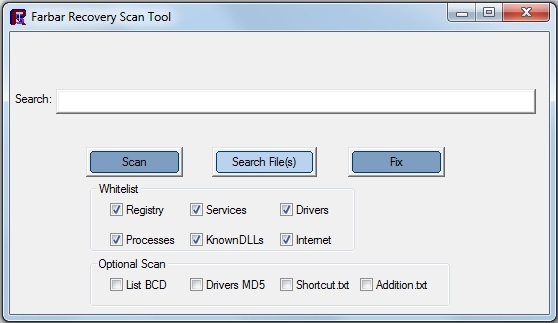 Please download Farbar Service Scanner to the desktop and run it on the computer with the issue. Make sure FRST is run under administrator privileges. Make sure that the Whitelist section is checked.Otherwise, the log will be very long. You Security programs may prevent the tool from running. If this happens, disable the security program until the scan is completed. The download failed. It appeared to download 406kb, and then reported as failed. There is no file stored in my download folder. Can you download it from another computer? I have also tried emailing it to myself. But as before it appears to download, and then shows "failed to download"!. So I can't run it. Download the program to your memory stick. Copy the program to your desktop. Right-click and select "Run as Adm."
The Good News is that I have managed to download FSS.exe to my desktop. (Yesterday I wasn't able to copy the file since it was deleted from the USB stick. However, it worked today, and also the GeekPolice download linked worked). One difference is that I have selected to not show the Sys Config Utility prompt. However, i did get a black screen window: CMD.exe, showing "The system cannot fins the file selected". the screen nshowed one prompt: "C:\WINDOWS\system32>". I closed it and carried on. However, when I run FSS.exe I don't get a "Run as Admin" option. I only have one user approved for the system, and it is the only option that was provided. When I selected it, I didn't unselect the option to "Protect my computer data etc etc)". Is this option ok, and should I unselect the "Protect my computer option..."? Also please run SFC again and tell me if it asks for the disk. I have re-tried FSS, with the same results. I also re-ran SFC using my "Re-installation CD" Service pack 2. I was prompted to retry finding a file ten times. Is this the right CD for me to use? I also have a DELL Drivers and Utilities CD, but my PC has been rebuilt as a Compac Presario. It should be the OS disk that came with the computer. It's not too hard to identify. It's the one with the official XP design. Or, it could be one from Dell with their logo on it. If you don't have it, you perhaps borrow one but it must be the same version that's installed on your computer.